Ready to take a ride into the heart of darkness? 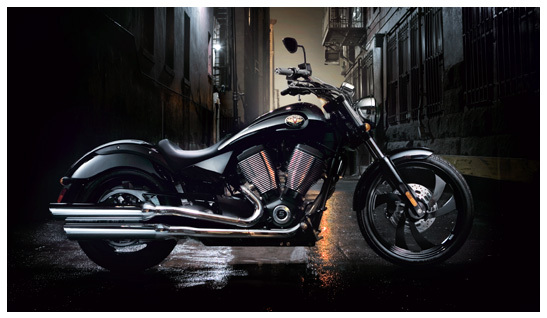 Then throw a leg over the Victory Vegas 8-Ball, a bike that delivers so much more for so much less. 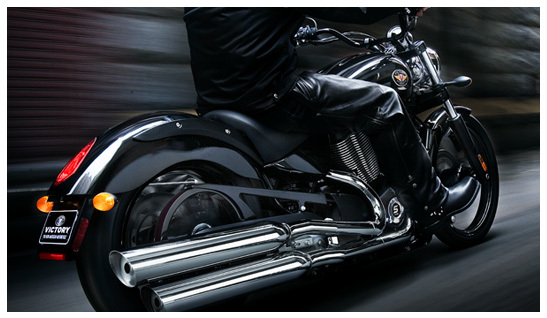 With black bodywork, fork sliders, triple clamps, handlebars and wheels, the Vegas 8-Ball radiates attitude wherever it goes. Of course, tough looks are nothing without the brawn to back them up. 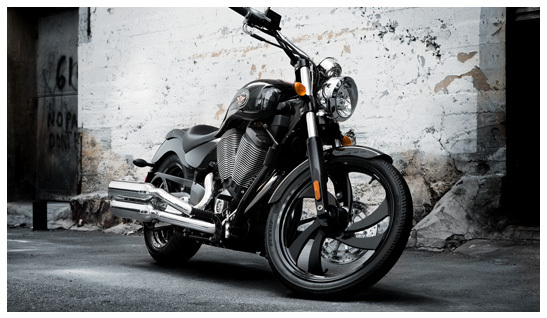 That’s why the Vegas 8-Ball is equipped with Victory’s own 100 cubic-inch Freedom V-Twin with five-speed transmission. 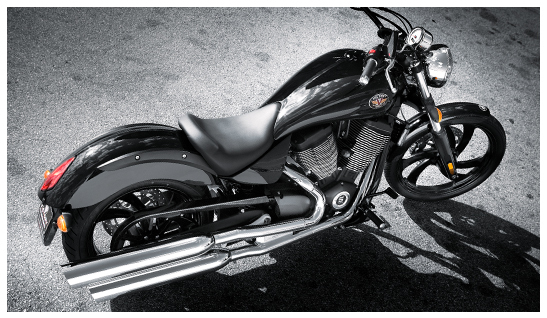 There’s only one way to describe a bike that combines this much custom-inspired style with this much American muscle. Wicked.